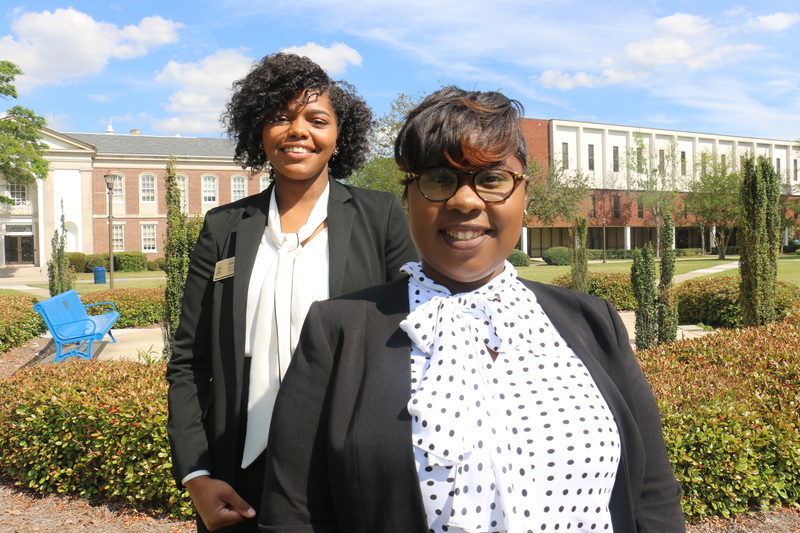 Hillary Clinton may not have been able to don the title of Madam President, but that didn’t stop Niae Tibbs and Idalis Forte from reaching the highest heights of student government leadership at Fort Valley State University. After the incoming SGA president and vice president have their say, a new day will soon dawn for Fort Valley State University students. The power duo want to increase student leadership and involvement on campus and strengthen the bonds between the students and alumni. Incoming SGA Vice President Idalis Forté is no stranger to achievement either. The media studies major served as both freshman class president and sophomore class president at FVSU. The Fulton County Creekside High School graduate is also a first-generation college student, and works to help other young people reach their collegiate dreams by serving as an FVSU recruiter. After graduation, she wants to work for a major broadcasting company such as CNN and start a mentoring program focusing on youth with a deceased parent. Her inspiration comes from the third and fourth verses of the Bible’s Philippians 2, “Do nothing from selfishness or empty conceit but with humility of mind. Regard one another as more important than yourself; do not merely look out for your own personal interests but also the interests of others.” As SGA vice president, part of her duties will be to oversee the governance of the Student Senate. The Office of Marketing and Communications sat down with the leaders to learn more about their plans to help the student body leave their legacy at FVSU during the upcoming year.